ADDIS ABABA- African people cherish a dream that one day the capitals of all African countries will be linked by high-speed railways, Chairperson of African Union Commission Nkosazana Dlamini-Zuma once said. 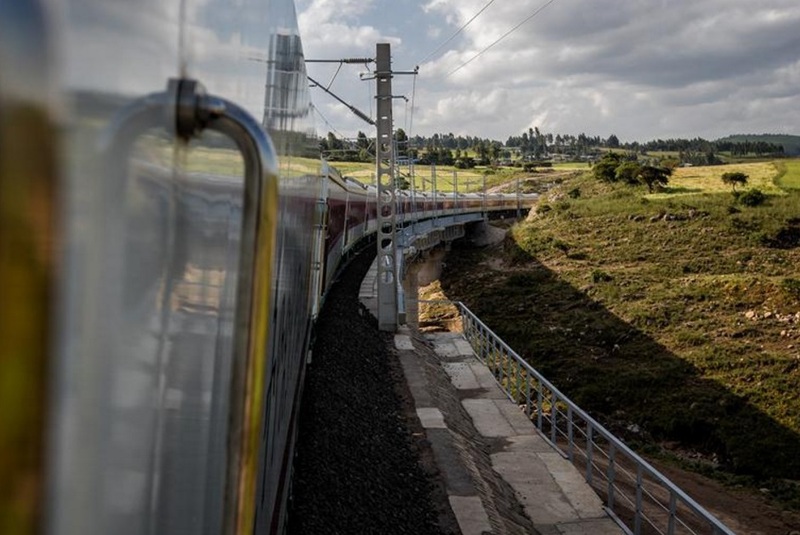 On 5 October 2016, Africa’s first modern electrified railway — the Ethiopia-Djibouti railway built by Chinese firms, is set to become fully operational. With the inception of what has been hailed as the “Tazara railway in a new era”, a new chapter will be turned over in Africa’s railway history, while a new milestone will be set up in China-Africa traditional friendship. In 1970s, China, where a thousand things still waited to be done, resolved to support the construction of the Tazara railway which links Tanzania’s Dar es Salaam with Zambia’s Kapiri Mposhi. More than 50,000 Chinese railway workers worked for construction of the railway. Among them, 64 Chinese experts made the ultimate sacrifice in a land far away from home. In recent years, Chinese President Xi Jinping put forward the new concept of “building nests to attract phoenix” and “teaching them how to fish” in China’s cooperation with Africa. Chinese Premier Li Keqiang also proposed that China and Africa work together to develop the “Three Major Networks” — railway, road and regional aviation. With sincerity and good faith, China is helping African countries to boost infrastructural construction, promote Africa’s inter-connection and integration process and help Africa realize independent sustainable development. The railway’s operation will also help boost economic growth along the railway, speed up urbanization, create jobs, improve people’s living standards and promote socioeconomic sustainable development. Give a man a fish and he eats a day. Teach him how to fish and he eats for a lifetime. The railway’s two contractors — the China Railway Group (CREC) and the China Civil Engineering Construction Corporation (CCECC), have attached great importance to the training of local railway talents. Li Weidong, a senior engineer of CREC, told Xinhua that an international training center at CREC has organized nearly 100 African railway officials and technicians for training programs in China. Trainings are also offered at all levels, covering the complete spectrum of job titles in the railway industry. Li disclosed that CREC is helping Ethiopia in planning for Africa’s first railway institute, where Africa will be able to train its own railway talents. CCECC Ethiopia manager Li Wuliang said that his company is now focusing on the training of Djibouti technicians in the field of railway operation and management. Since June 2015, 94 Djibouti students with academic credentials above undergraduate have been sent to China for half-year training programs in railway technology. 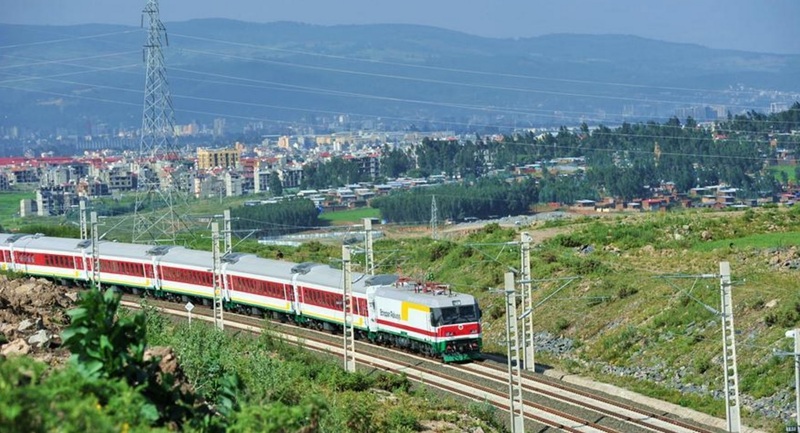 After the Ethiopia-Djibouti railway’s official operation, a consortium of CREC and CCECC will manage its operations for six years, during which the Chinese firms will teach the Ethiopian and Djibouti staff knowledge in railway operation and management, including the maintenance of the railway systems. Six years later, the consortium will hand over the operation and management to the two countries, which means they will be in charge of running the railway independently. Chinese railway construction workers have sacrificed a lot for building the railway. No one can tell how many of them had lost precious gatherings with loved ones, lost health and even life. On March 27, 2013, Zhang Peng, a 33-year-old CREC engineer who only got married half a year ago, was the first fallen hero while working for the railway’s construction, when a sudden flooding swept him away. Two years later, on July 2, 2015, Yang Hongwei, a 31-year-old site manager, made the ultimate sacrifice in a flooding, leaving behind a son less than four. Colleagues of the fallen heroes told Xinhua that Chinese firms have taken various measures to ensure the safety and security of their staff working in Africa, with their living and working conditions now far better than that of their predecessors during Tazara railway’s construction decades ago. However, they said despite all security measures, zero casualty is something that is impossible to avoid. Long gone are the Chinese fallen heroes who had fought for Africa’s railway dream, but the railways they had built with sweat, blood and life will signify the everlasting friendship between China and Africa, which both the Chinese and African peoples will treasure forever.